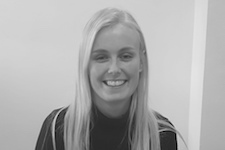 Isabel is a Senior Consultant and highly successful member of the team with a indepth knowledge of marketing and the legal recruitment sector and also having studied Law at University. She works with a range of local, regional and national law firms and is a very capable outgoing member of the team who enjoys building strong relationships. She works with candidates from NQ through to Partner level and her extensive knowledge enables her to appreciate and act on the needs of both candidates and clients. Receive £200 for a successful candidate referral. 2009 - 2019 © Austen Lloyd Ltd.